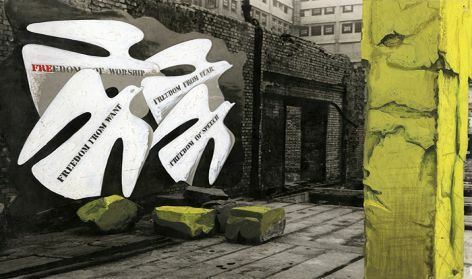 'AIA (Artists International Association) For Liberty'. London (1943). Exhibition held in the ruined John Lewis basement canteen, Oxford Street. Catalogue number: FHK-3-23-1. 'Post Office Savings Bank'. 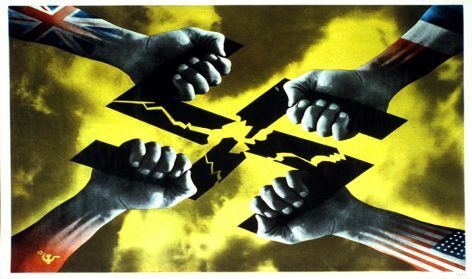 Designed during WWII (1939-1945). Catalogue number: FHK-4-1-8-1. 'Four Hands' (1944). A poster distributed in Europe after D-Day. Client: US Office of War Information. Catalogue number: FHK-4-1-9-1. 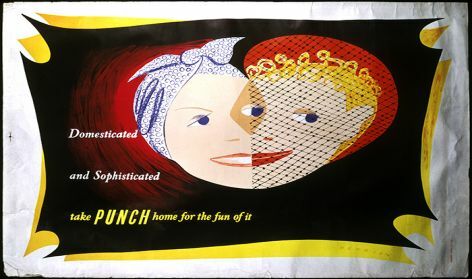 'Punch magazine poster' (1949). Advertisement for the weekly periodical. Catalogue number: FHK-4-1-21-1. Henrion (1914-1990) was born in Germany and studied textile design in Paris before joining the poster design school of Paul Colin. During the Second World War he was employed by the British Ministry of Information and the US Office of War Information. Art editor of various publications, he developed a reputation as a designer of exhibitions and went on to established his own design consultancy, working with companies throughout Europe. His role as an educator and as a member of professional design organisations was significant. 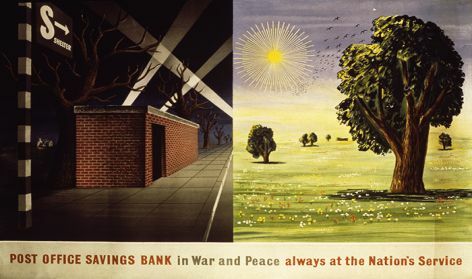 The Archive covers Henrion's entire career, comprising original artwork, photography, examples of packaging and graphic design as well as correspondence with clients. It includes Henrion's library of books on graphic and industrial design, typography and advertising, which is now fully searchable on the University's Library system.